The popularity of coconut as an ingredient in food products is ever-increasing. Its rich flavor and myriad of health benefits have given rise to its popularity in all different forms. 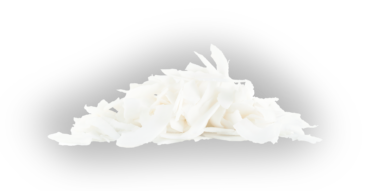 We source our desiccated coconut (dehydrated through drying) from Southeast Asia, and provide coconut in a variety of preparations: flakes, chips, shreds, or granulates. Coconut has a multitude of uses in baking and confections and is often used as a topping for curries and other Asian dishes, on salads, and in bars, cereals, and granolas. Coconut contains no cholesterol and is rich in a number of essential nutrients. Coconut exemplifies efficiency and versatility, used in everything from food to cosmetics. Our suppliers utilize every part of the fruit: From the water (popular around the world as a refreshing, electrolyte-rich drink) to the hard outer shell (which can be converted to charcoal and used as biofuel), every part of the coconut has value.